Who: Everyone is welcome to join! 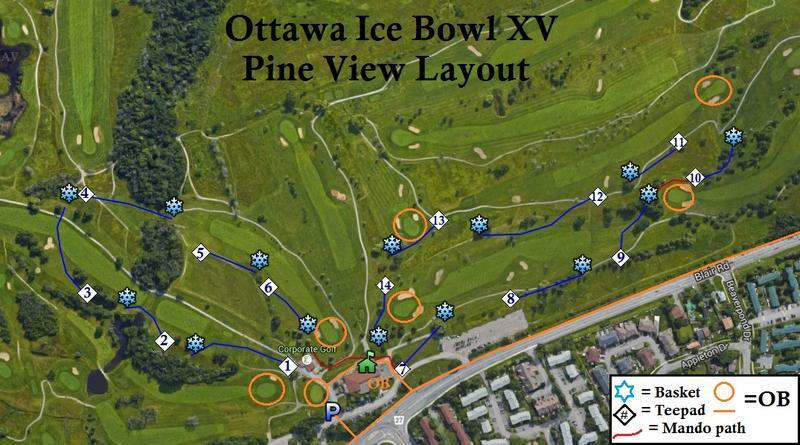 The 16th annual Ottawa Ice Bowl disc golf tournament will return to the Pine View Golf Course in Ottawa East (Blair Rd. and the 174) on Saturday February 11th, 2017. Save the date! As in previous years, this event is a charitable fundraiser for the Ottawa Food Bank. Last year we were able to make a donation of $2,260 and 40 lbs of food thanks to the combined totals of Ice League and the Ice Bowl. The format of the tournament but will consist of 2 rounds of the Pineview layout with a break for lunch in between. 2017 ODGC Memberships will be available for purchase/renewal onsite. Players are asked to bring a cash donation* in support of the Ottawa Food Bank. *Food donations while appreciated are no longer necessary as we transition to cash only donations. Lunch will be provided by the Pineview pub, I have requested additional staff to be present for our tournament. Ice Bowl has gone urban with their logo. I'm working with Daredevil Discs to give us a disc that no one in the world has yet. Daredevil is working with a new plastic: Pinkie Plastic. 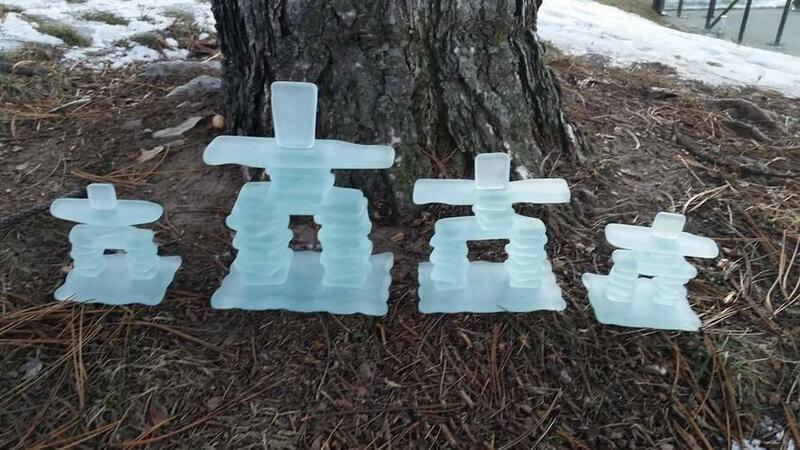 (I named it, so it's guaranteed not to be the official name) And they are in the process of running all their molds in Pinkie to see the results. We will the first in the WORLD to actually test and see the results of this trial run. Which exact molds will be ready for us at the IB, is still up in the air. But I will keep you abreast of any news (as if any of you had doubts). They, of course, will be bear bottom stamped. Reminds me of the 'artwork' I saw when working the rails of TO. I'm in the YFAFR�TE division please ! We will stick with the same 14 hole layout as last year. Maybe a few minor tee/basket tweaks. Andrew, is lunch provided (ie payed for with entry fee). Or i it just available to buy? The entry fee does not include lunch. Sign me up for Warm Blooded. Would anyone else like to declare their intentions to play the IceBowl? I don't mind walk-ons but having a head count beforehand would help.